The IBM Model M keyboard is notorious for its loud clacking keys, solid construction and tactile feedback which has made it a favorite of many serious keyboardists despite the fact that its design is now decades old. Unicomp still manufactures Model M keyboards, and offers some modern updates such as Windows keys and a USB interface. This is a great option to have, but like many others I still rely on older versions of the Model M that have a PS/2 interface, which is no longer included on most modern computers. 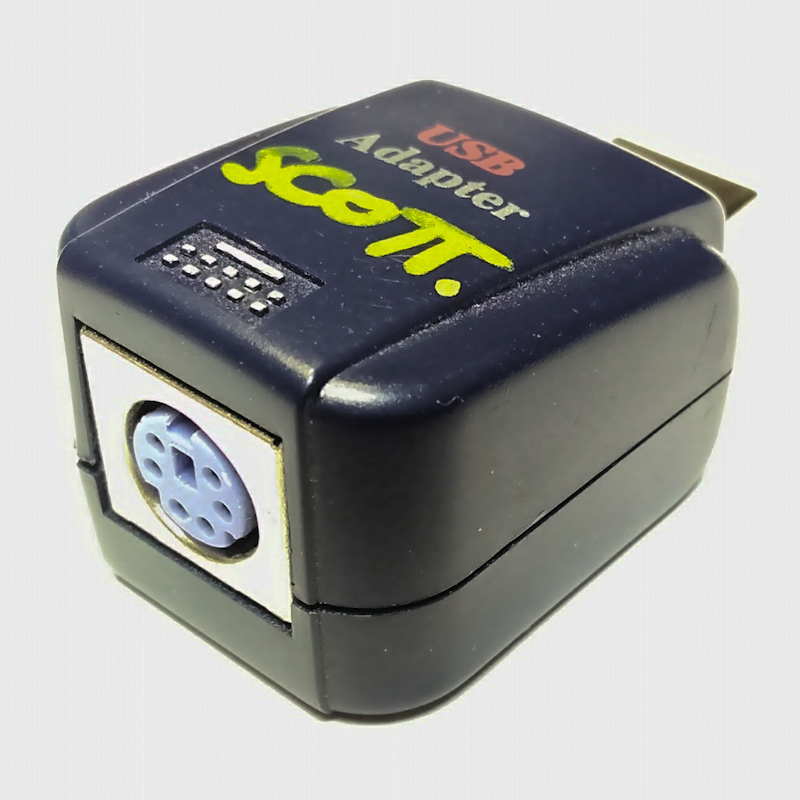 This makes a PS/2 to USB adapter a necessity, and there’s many out there to choose from. But as most Model M enthusiasts know, not all adapters work with the Model M.
The problem is that Model M keyboards consume significantly more power than modern keyboards, and not all adapters (or motherboards, for that matter) can provide enough current on the PS/2 port to power a Model M. I’ve known this for a long time, but never knew exactly how much current a Model M draws vs. a modern keyboard. I decided to find out. I admit, it’s a small sample, but these are all fairly typical keyboards from large companies. And none of them come close to 1.2mA. I did round the numbers, but even then the smallest current draw I saw was approximately 2.6mA. That’s still very good, and clearly a huge increase in efficiency. But based on my findings, I’d say modern keyboards are approximately 25-40x more efficient than a Model M, not 100x. Okay, so maybe the Model M doesn’t use 100x more power than a modern keyboards. Numbers are useless if your adapter still doesn’t support it. So which adapters do work? I have two I can strongly recommend. The first is the “Blue Cube” adapter. It’s a very generic “Made in China” adapter that appears to have no model or part number. ClickyKeyboards.com sells them on their website, and you can also find them on Amazon.com and Ebay.com. I assume they’re all the same, but I can only vouch for the ones sold by ClickyKeyboards since that’s where I got both of mine. The second adapter I recommend is the IOGEAR Model# GUC100KM. It’s no longer manufactured, but may be available used online. I have several that I got from work after we phased out our PS/2-based KVM switches, and they’ve worked on every Model M I own. Also, they have an LED that blinks as you type, which doesn’t seem to be all that useful but it’s kind of cool, and they can support a PS/2 mouse if you have one. For all tests, I used an Amprobe AM-570 multimeter and a Dell Optiplex 990 PC. For the PS/2 keyboards, I took an old PS/2 extension cord and cut the VCC wire so I can place the meter inline to measure current. Power came from an IOGEAR GUC100KM USB to PS/2 adapter connected to a USB port on the PC. For the USB keyboards, I used a Fried Circuits USB Tester to connect my multimeter inline for current testing. Power came from a USB port on the PC. Every keyboard was used while typing up the results to verify they were fully functional. Originally posted March 23, 2017 on my old site; posted here April 6, 2018 with minor revisions.